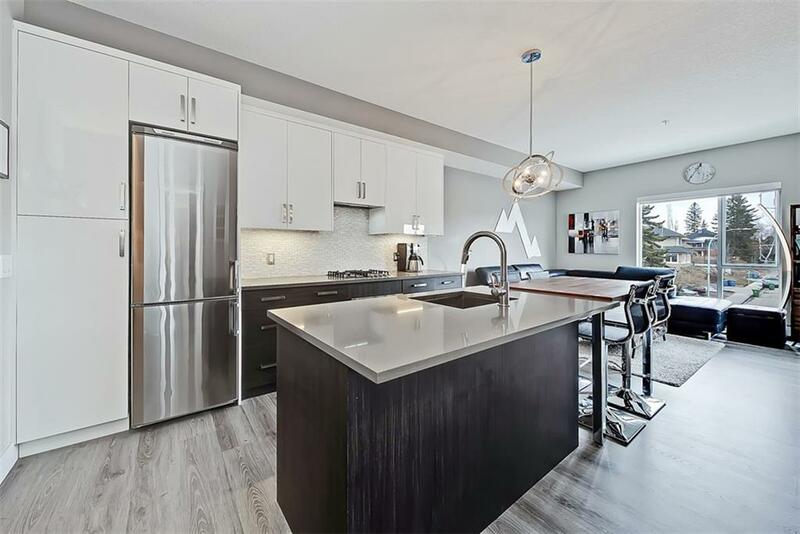 *OH SAT APR 20: 11-1pm* This like-new 2-BED, 2-FULL BATH condo in South Calgary is the perfect combo of quality & affordability in a popular area within walking distance to Marda Loop & w/ easy access to DT. 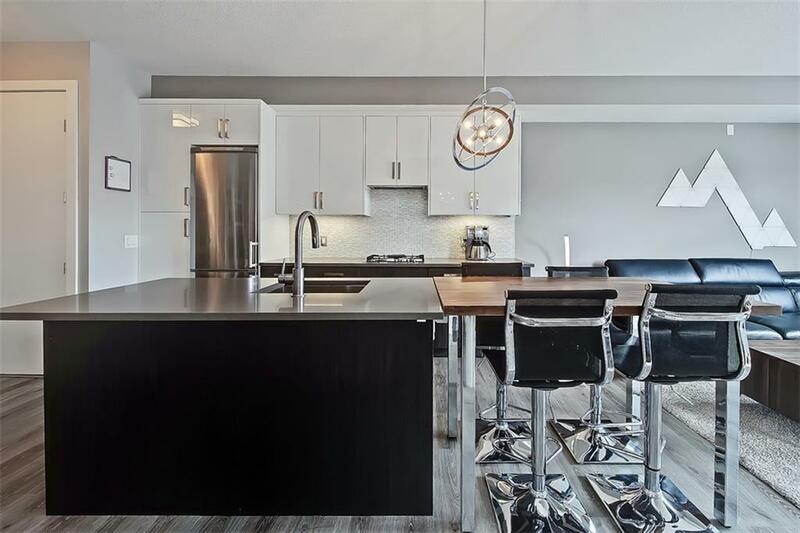 Owners will enjoy underground parking/storage, a top of the line home automation system, in-suite laundry, a private balcony & access to a rooftop patio that overlooks DT. 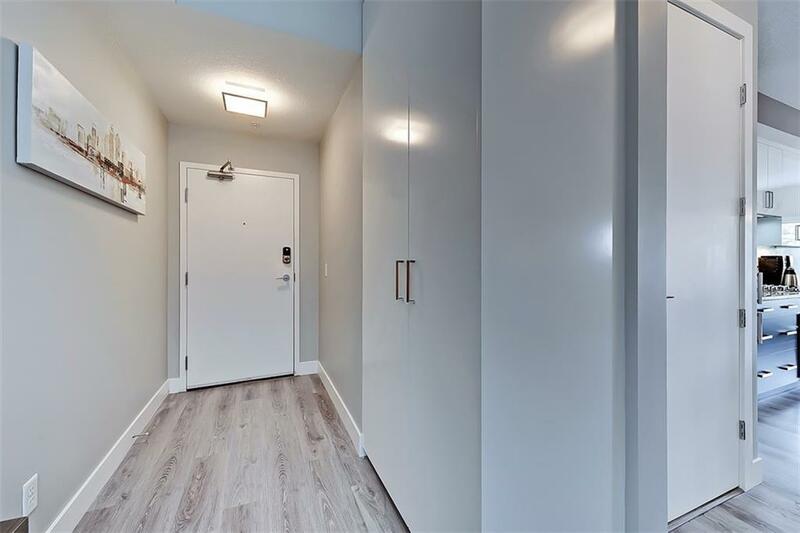 Designed w/ a prominent Euro influence, this open-concept unit is designed to maximize all 700 sf & has more in-suite storage than most units in the complex. 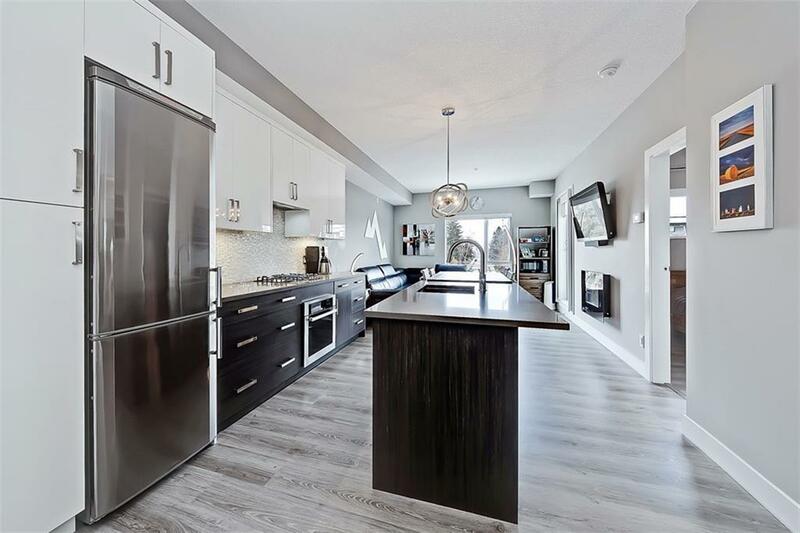 Kitchen has S/S appliances, 2-tone cabinetry w/ LED feature lighting & island w/ bar seating. Extended "flex table is great for daily dining & opens to the living room w/ gas fireplace & access to PRIVATE balcony w/ gas hookup. Phantom screen is great for Summer evenings. 2 large bdrms both have built-in wardrobes & can accommodate king-size beds. Master has a private 4-piece ensuite. FULLY-TILED main 4-pc bath. Underground guest parking. See website for full details.